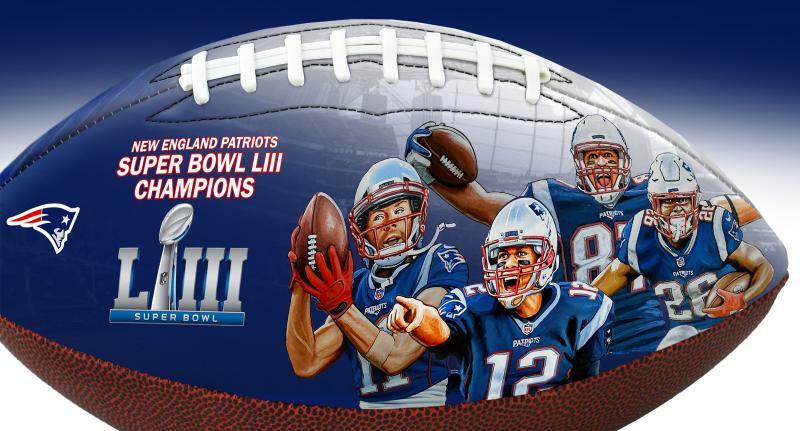 The Patriots are Super Bowl LIII champions! They have defeated the Rams to win their 6th Super Bowl title in franchise history. The six Super Bowl Championships are tied for the most ever. 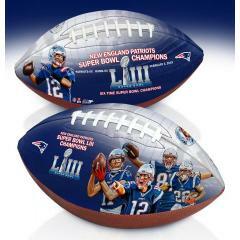 Even more impressive, is that the Patriots have won all six during the Brady/Belichick era which started in 2001. 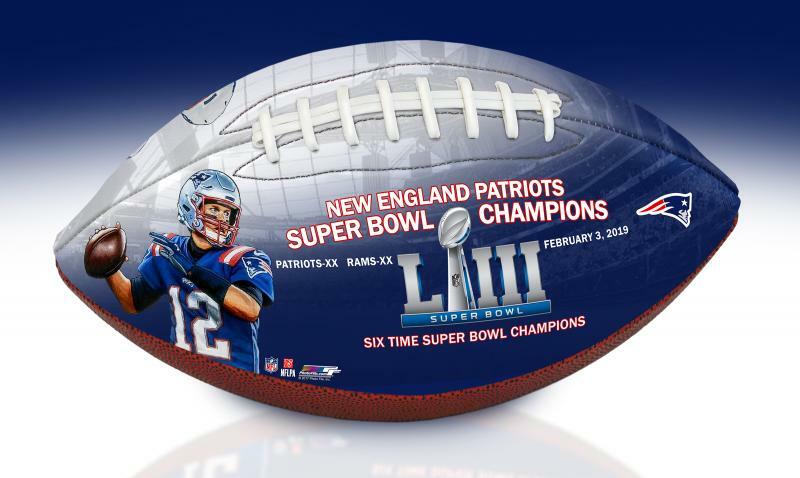 To commemorate that Patriots’ record tying 6th Super Bowl Championship, we are proud to release this limited edition Patriots Super Bowl LIII Champions Art Ball. 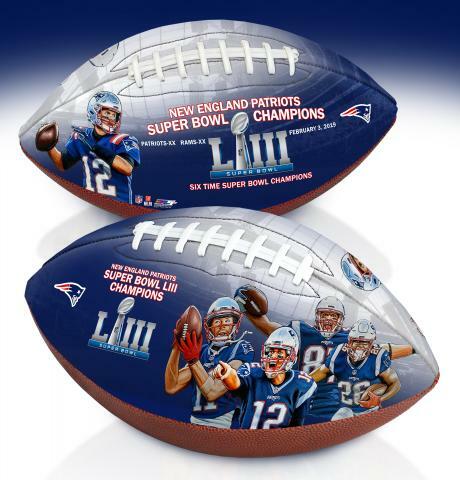 The ball comes with the Patriots’ logo, Super Bowl LIII logo, the date and location of the game, the score of the game, as well as original reproduced artwork of the Patriots’ stars by the BigTimeBats Art Studio. 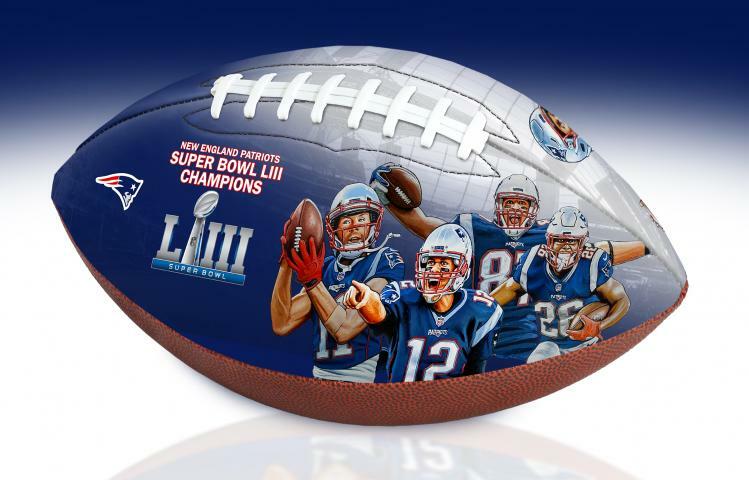 The players featured are Tom Brady, Rob Gronkowski, Julian Edelman, and Sony Michel. The backdrop of the football is the interior of Mercedes-Benz Stadium, the location of Super Bowl LIII.